This is a fantastic recipe, for so many reasons. It's easy to change quantities or ingredients to suit what you have at home; it's perfect for vegetarians, hearty appetites or simply anyone who loves good food! Nutritious and incredibly simple to put together, this is a tasty, uncomplicated fix for when you invite a group of friends over for supper! 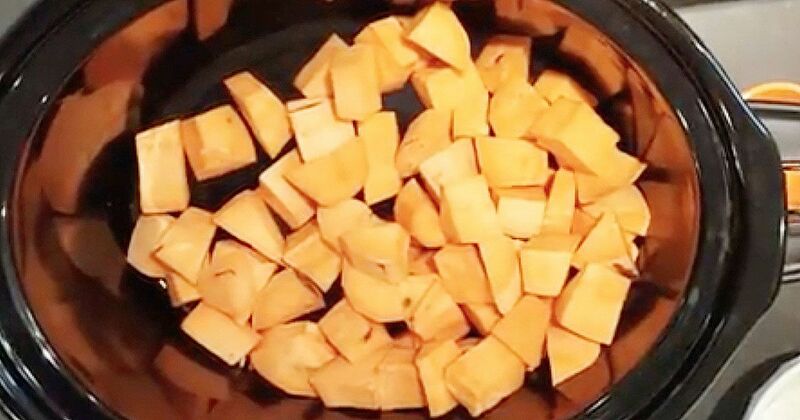 There's no real need to peel the sweet potatoes - it often seems that a lot of flavor and sweetness is concentrated there, so try to keep it in. Feel free to add a diced bell pepper or two for extra goodness! 1. 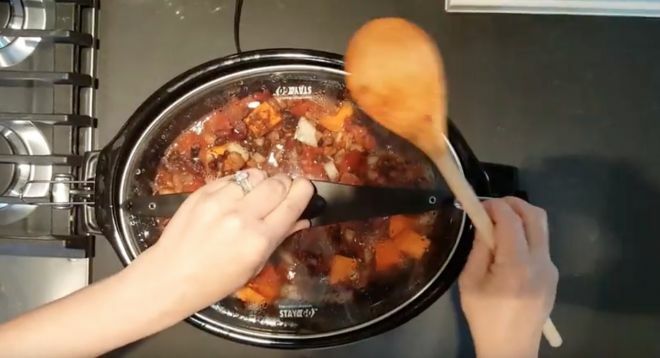 Add all of the ingredients to your slow cooker, stir gently but thoroughly to combine and cook on 3 -4 hours on high. Serve straight from the pot with rice, sour cream and grated cheese for a super-easy dish that tastes great. You could use any leftovers to fill soft tortillas and serve alongside a green salad for a healthy and delicious lunch the next day. 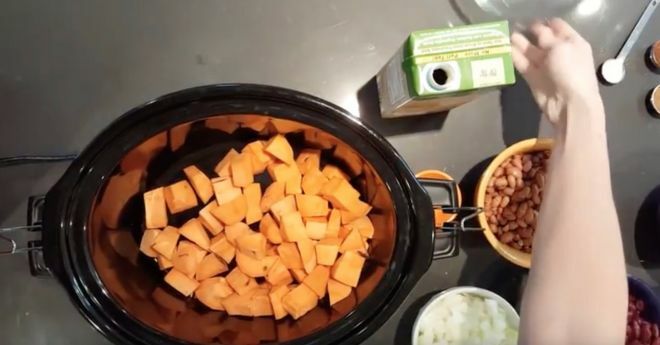 Sweet potato chili freezes really well, so keep some in the freezer for when you need a fast and spicy fix! Everything comes together in this traditional dish that cooks away while you walk away!